The Airdrie Children’s Festival Society is pleased to announce Rogers Communications Inc. has been added as a presenting sponsor of this year’s Airdrie Children’s Festival. The festival is set to take place on Saturday, May 26th, 2018. The commitment from Rogers means the event will be free for everyone to attend. City TV Calgary will be onsite for the event, and Rogers will be hosting an “Inspiration Station”. This will be an opportunity to inspire and educate young attendees about the field of broadcasting. The day long festival featuring a Children’s Village, Inspiration Stations, the BMO Entertainment Stage and workshops will run from 10:00 a.m. to 5:00 p.m. at Nose Creek Park in Airdrie and will be followed by the outdoor screening of the children’s animated musical SING, presented by Shilo Storey of RE/MAX. This family friendly event is free to attend and food trucks will be on site all day. Additional information regarding the Children’s Village and Inspiration Stations will be released in the coming weeks. 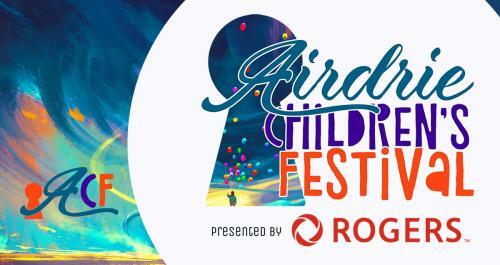 To keep up to date please visit our website at www.airdriechildrensfest.com or find us on Facebook.